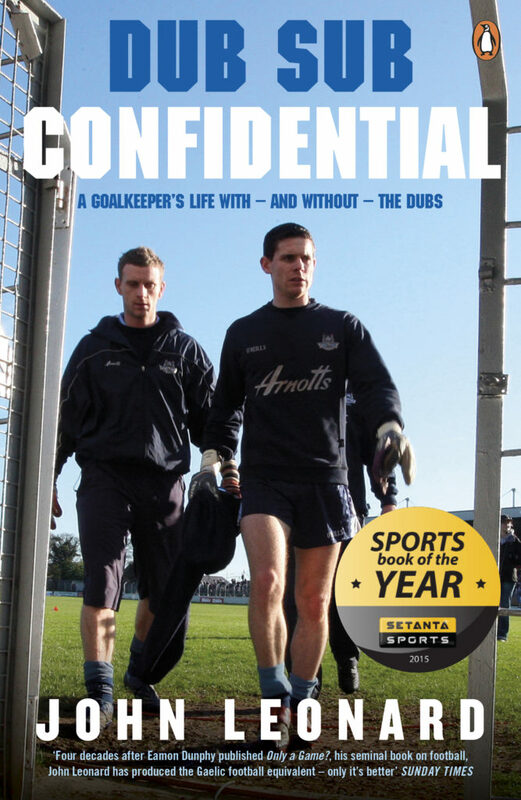 I am delighted to say Dub Sub Confidential has won the Setanta Sports Book of The Year. To beat off the opposition I was up against is magnificent for me. Great to finally win something big. Happy days! This book is jammed full of interesting stories: tales from inside the Dublin GAA camp, insights into drug culture from the 90’s, the madness of a deranged lunatic wandering the world and much much more. If you would like a kindle copy of the book, you can buy through this link here. I would love any feedback at all and if you do read the book, please head over to Amazon and leave a review for me! 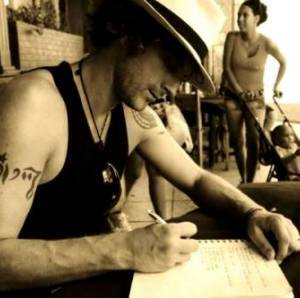 If you have any special requests regarding the book, then please email me here at john@soberpaddy.com. I have limited signed copies available. JOHN LEONARD was a gifted goalkeeper who had the misfortune to reach his prime at the same time, and in the same county, as one of the all-time greats: Stephen Cluxton. Unless something happened to Clucko, Leonard was always going to be number 2. Of course, it didn’t help that he had a problem with drink and drugs . 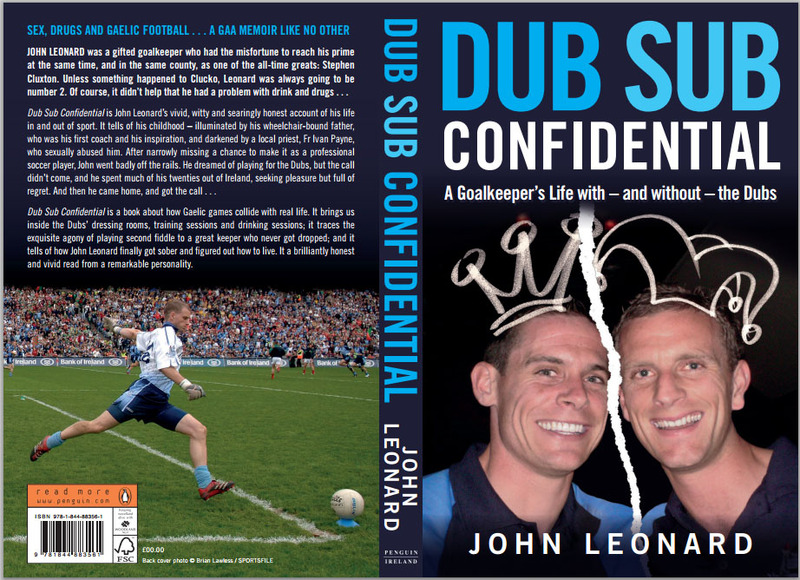 . .
Dub Sub Confidential is John Leonard’s vivid, witty and searingly honest account of his life in and out of sport. It tells of his childhood – illuminated by his wheelchair-bound father, who was his first coach and his inspiration, and darkened by a local priest, Fr Ivan Payne, who sexually abused him. After narrowly missing a chance to make it as a professional soccer player, John went badly off the rails. He dreamed of playing for the Dubs, but the call didn’t come, and he spent much of his twenties out of Ireland, seeking pleasure but full of regret. And then he came home, and got the call . 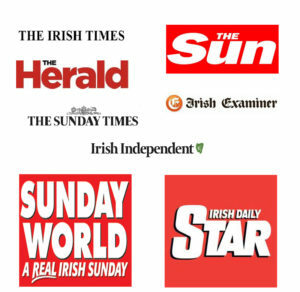 . .
Dub Sub Confidential is a book about how Gaelic games collide with real life. It brings us inside the Dubs’ dressing rooms, training sessions and drinking sessions; it traces the exquisite agony of playing second fiddle to a great keeper who never got dropped; and it tells of how John Leonard finally got sober and figured out how to live. It a brilliantly honest and vivid read from a remarkable personality.